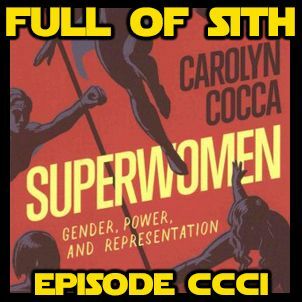 On this episode, Bryan and Holly speak with Carolyn Cocca, Professor in the Department of Politics, Economics, and Law at the State University of New York, College at Old Westbury, about her book Superwomen, the role of women in the Star Wars universe, and what Carolyn loves about Star Wars. If you haven’t already, join our new Facebook group and join in the discussions with us and other listeners at – http://facebook.com/groups/FullofSith If you like the show, please leave us iTunes/Stitcher ... See More reviews and share us with your friends and family! We’d greatly appreciate it.